Recent developments in technology have spurred issues never before imagined. Cyber threats now include not just hacking, but ransomware attacks, social engineering, and other schemes. Advanced technologies such as blockchain and cryptocurrencies bring a world of questions to previously traditional structures in marketing, banking, and sales. Interconnected and “smart” devices create new concerns about privacy within the “Internet of Things” (IOT), especially in the healthcare world. And autonomous vehicles, once available only to the Jetsons, are now a reality that bring with them a host of concerns that demand the attention of cyber professionals. Governmental regulations on data privacy and security are responding to these new issues and evolving every day. 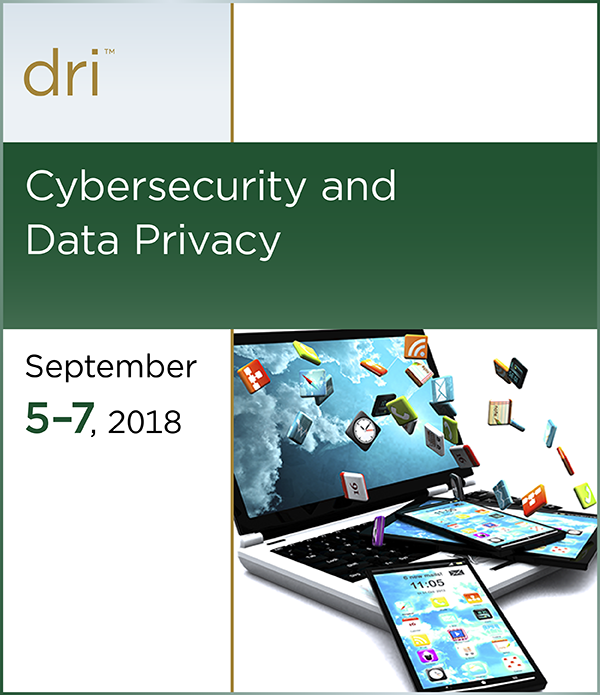 The seminar will appeal to a diverse audience of professionals: in-house counsel, firm attorneys, IT personnel, insurance professionals, and anyone who must understand developments in cybersecurity and data privacy law.